Facebook Timeline is great initiation from FB's Team. Sometimes Timeline annoys and looks too detailed. If you wish to put it OFF (@yourplace), here are the guidelines. 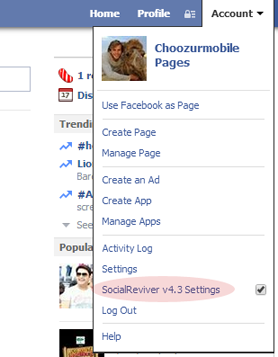 SocialReviver Add-on is currently supported for Chrome, Firefox or Opera browsers. Click Down arrow beside to Home button and select "SocialReviver Settings"
Edit features such as Disable Timeline View, Chat Style With Sidebar, Chat Tabs Style as Classic Style, Sidebar Disabler, New Profile Disabler and lot of other social security and personal options. 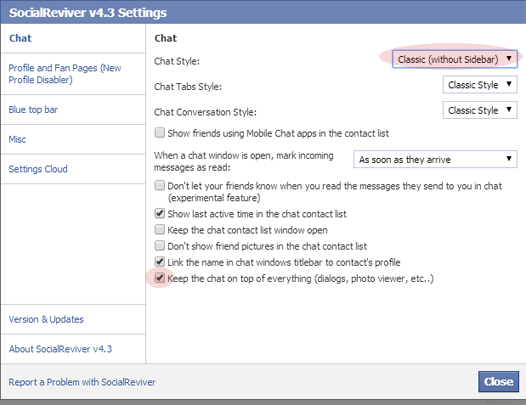 Uncheck all the options, select Chat style as with Sidebar, Chat Tabs Style as Classic Style. Click Close button after done. Your FB is modified with optimum settings now. Note: Other people will see your FB profile as usual; Disabling Timeline View is for your own browser only. Other SocialReviver settings are quite more productive.